Practice it for 8 weeks and your brain starts undergoing observable physical changes. Although meditation can in some cases be defined as a freedom from the changeful impressions of the world and “matter”, we do sometimes need reminders in the form of physical objects to keep us steadfast, alert and in tune with existence. We’ve discussed meditation products for your home before, including cushions, chairs and benches but also meditation clothes, jewelry and mala beads. The sheer beauty of this meditation altar alone makes it worthy of being mentioned first on our list of meditation tables. It’s hand carved out of natural wood, hence the uniqueness (features and perks) of each table. The rather high stature of the table makes it a good choice to be used for other purposes than meditation, like example as a table for a cup of coffee, tea, magazines or your favorite books. Other than that, the table is simple to assemble and has a nice natural woody smell to it. 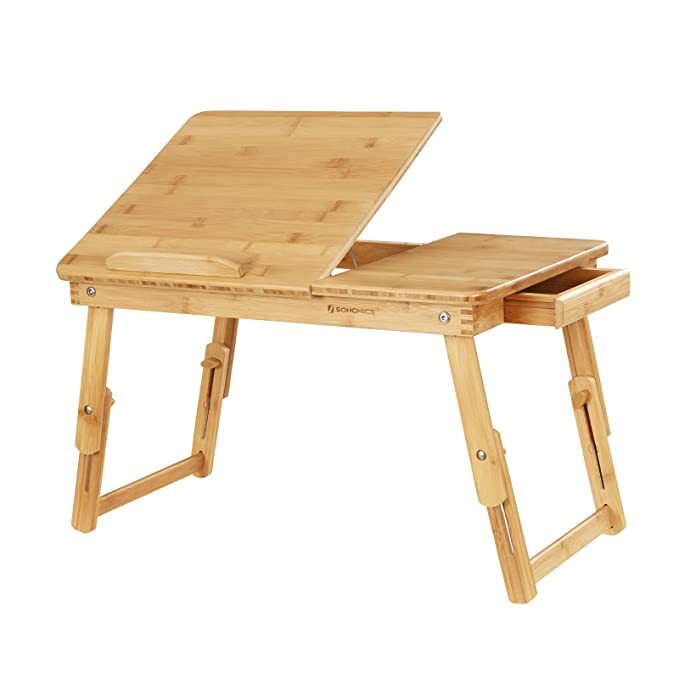 Made from natural bamboo, this high-quality yet fully affordable multi functional mini table is a great choice if you want a versatile table for many different intents and purposes, like for example for your laptop, breakfast, reading, drawing. The height (legs) is adjustable and it has 5 different view slots from which you can choose from. 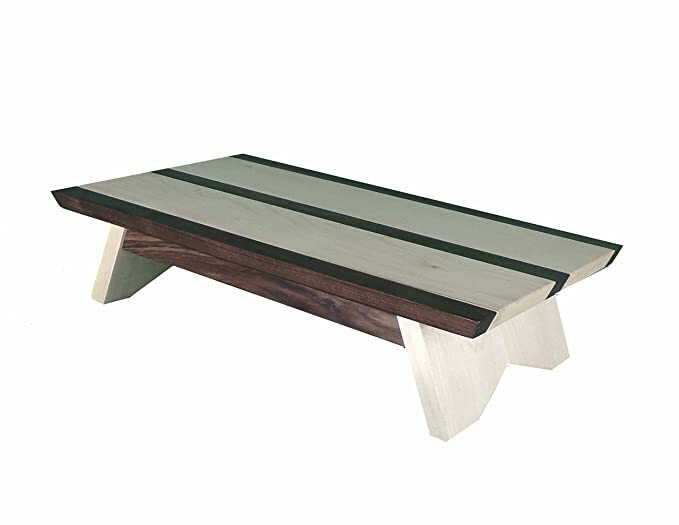 Even though its not per say a meditation table per say, it is nonetheless an excellent choice for a floor table. If you’re not really that in to the symbolic engravings found on the other meditation tables listed here, this might be a better choice for you. Not to mention the “smart” mini drawer it has on its left side. Has a bonus drawer for smaller items. This kiso table is a great choice when really wanting to elevate some special sacred figure or symbol that you hold in high regards. It could be a spiritual teacher like Jesus of Nazareth or Gautam Buddha or a special symbol like Om or the tree of life. Made out of maplewood and walnut-lumber. Made by the same manufacturer, Earthbench, as the meditation shrine above, this one has a more uniform, simple design and natural solid style to it. This pedestal stand is great for exactly what its name entails, a pedestal stand for displaying different objects, whether it is natural things like plants and flowers or figurines and symbols. It has a broad design with a rather short height plus its one of the lighter, weighing about 3.5 pounds, shrine/tables on our list. 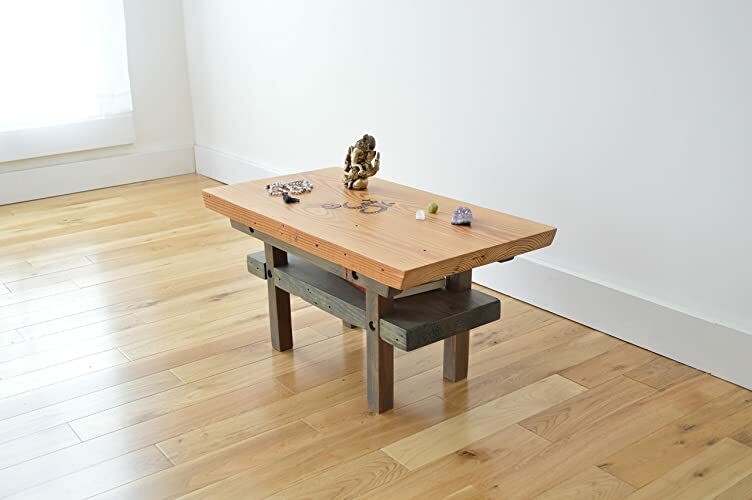 Being the most expensive one on our list, this meditation altar is a match made in heaven for those with a eco-friendly mindset + fans of Japanese culture. Each table is handmade while rocking a traditional Japanese look plus is skilfully created from 100% recycled wood from old buildings. If that is not rather awesome I don’t know what is. This meditation table shouldn’t take more than 10 minutes to assemble. 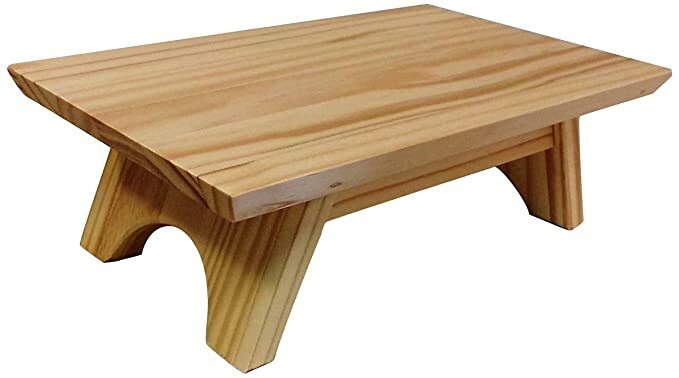 Is great for those wanting a more traditional looking meditation table. 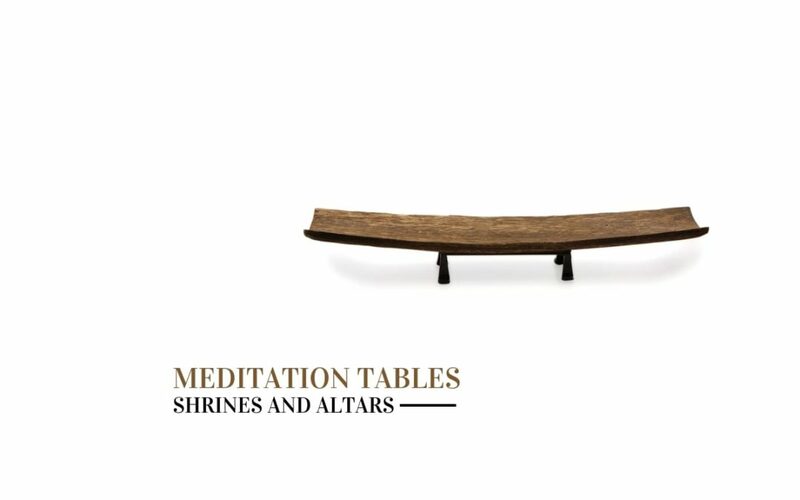 If you’re looking for an lightweight, small design and highly affordable alternative to the Reclaimed Wood Meditation Altar mentioned prior, this one could be your go-to table. 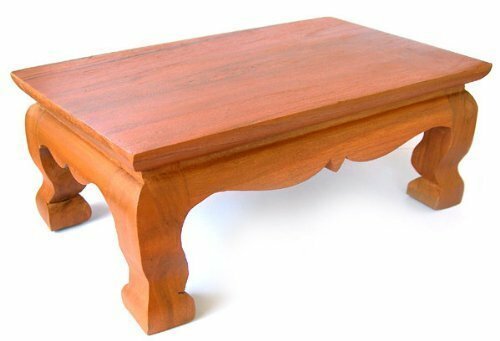 This miniature table is one of the cheapest and smallest on our list while still being a nice looking table. While we’re on the topic of simplicity in design, I don’t think it gets any more elegant and simpler than this Japanese style altar. 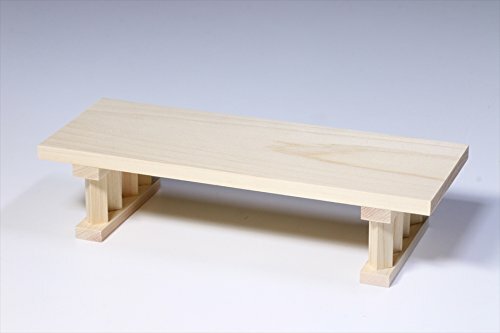 This altar is handmade in Japan plus is the lightest one on our list. 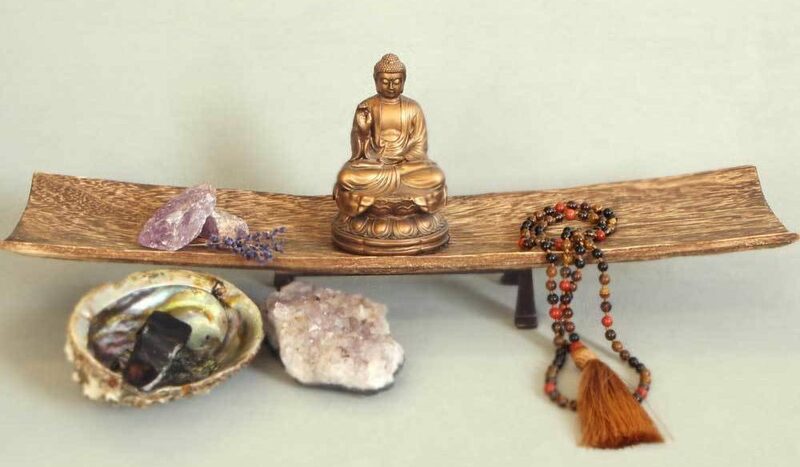 This buddhist (zen) altar stand could be the right one for you if you’re not looking for a table per say but more of an small altar stand where you can place your favorite spiritual objects upon, like gemstones, buddha statue, mala beads and what have you. The height on this altar stand is low but the width is wide enough to contain a variety of objects. 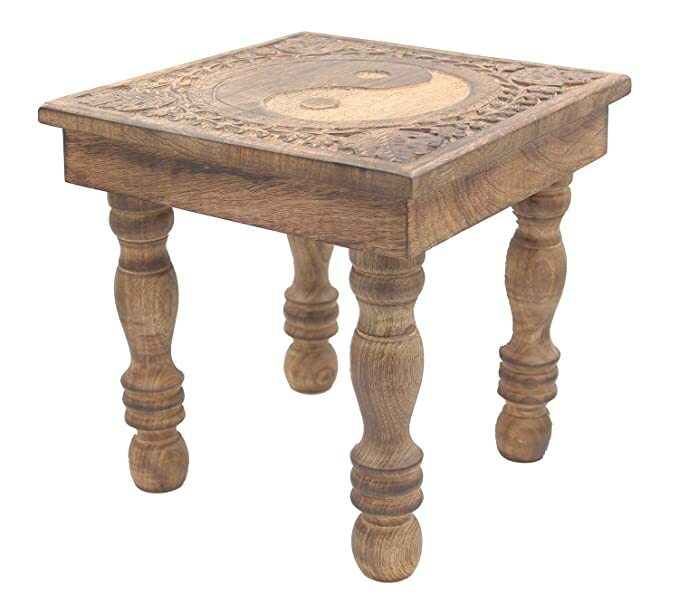 Whether its for holding your tea cup during your meditation or the Dao de Jing by Lao Tzu, a meditation table can be a great addition to your meditation space. If you choose the right one it could almost impart that feeling of having a genuine “shrine” or altar in your own home. Hopefully with this overview you’ve received a handful of ideas for tables, shrines and altars from which you can choose and implement into your own meditative space.